Thanks to your feedback, Swimia has become in just several months one the most significant sites of swimming pools. Here you've got all the info we know about Stock Brook Country Club, in Billericay. 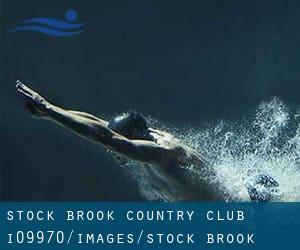 Don't neglect you can also promote this pool so Stock Brook Country Club will appear the very first of Billericay, or even the initial of your country, contact us to know a lot more. Swimmers like you reported 23 meters x 10 meters, Indoor/Outdoor. Unfortunately we do not have the email address of this Swimming Pool, but we can provide you with the phone number. If you believe that any of the knowledge is incorrect, please make contact with us. Enable us be better day-by-day. Updated on 2019 Lake Meadows Park , Radford Crescent , Billericay , England , UNITED KINGDOM (Postal Code: CM12 0BW). Among all the activities offered by the centre, if you are considering swimming you are going to enjoy 25 meters x 9 meters, Indoors. If it is advisable to contact this Swimming Pool, e-mail address and phone number are both number.